Sorry, this job expired on Aug 19, 2018. Below are other jobs that may be of interest to you. Nico Osteria is looking for motivated and knowledgeable individuals to join our Host team. We are looking for team members to help us deliver impeccable hospitality for guests from all corners of the world. Located in the Thompson Hotel in Chicago, we welcome in many out of towners and neighborhood folks during breakfast, lunch, and dinner. Minimum experience in high volume fine-dining setting preferred. Knowledge of OpenTable Guest Center and Aloha POS recommended. 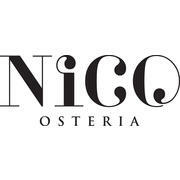 We are looking for genuine, positive, team-oriented individuals to join the Nico Osteria Host team! Located in the Thompson Hotel serving rustic seafood-focused Italian fare.